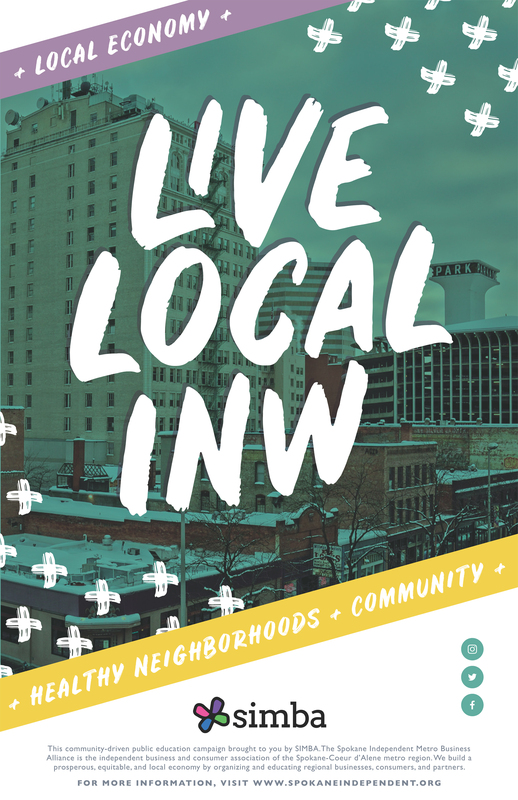 Why Live Local in the INW? The casual encounters you enjoy at neighborhood–scale businesses and the public spaces around them build relationships and community cohesiveness. (source 1, source 5) They’re the ultimate social networking sites! Each dollar you spend at independent businesses returns 3 times more money (source 2) to your local economy than one spent at a chain (almost 50 times more than buying from an online mega-retailer) — a benefit we all can bank on. Independent, community-serving businesses are people-sized. They typically consume less land, carry more locally-made products, locate closer to residents and create less traffic and air pollution. (source 3) More on this topic: Buying Green Means Buying Local. Reader surveys by the Consumers Union repeatedly show independent businesses beating their chain competitors in overall customer satisfaction (and often save you money). Not only do independent businesses employ more people directly per dollar of revenue, they also are the customers of local printers, accountants, wholesalers, farms, attorneys, etc., expanding opportunities for local entrepreneurs.